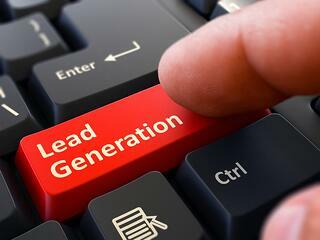 To help convert visitors into leads, there are several website must-haves for lead generation that shouldn’t be ignored. By adding these elements to your site, you’ll be more successful in generating interest and capturing information from potential customers. Blogs are website gold for many reasons because they help with SEO and lead generation. Well-written posts provide value to your site’s visitors by educating them in your area of expertise and generating a sense of trust that you are truly an expert in that field. When planning out your content, think of folks in the Awareness or Consideration phase of the buyer’s journey who would want to know more on the subject before making a decision. Adding in a “Subscribe Now” section is also valuable because subscribers will receive notifications every time a post is published, keeping your company top of mind. Plus, it will provide you with names/emails of potential clients with whom you may want to follow up. Any time you visit a website and are offered a free resource, chances are you’ll have to fill out a form to get it. 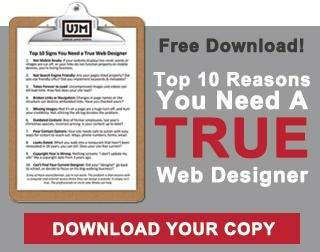 For example, on our site, we offer “Top 10 Reasons You Need a True Web Designer”. Visitors have to fill out a simple form to download the list. Due to the nature of the content, we know that those who submit the form are genuinely interested in a professional website, and we want to follow up with them shortly thereafter. Of course, you don’t want to bombard their inboxes with emails, but it’s a great way to see who is interested. Plus, as with the blog, you are providing helpful information to the consumer and establishing yourself as an expert in the field. This may seem like a no-brainer, but you’d be surprised how many websites don’t have a contact form. When crafting this form, be thoughtful about the fields. Too many fields to fill out could dissuade leads, but too few may not provide you with all the information you need. The contact form is also a great way to help you gather information to round out your buyer persona and better understand your customer. Perhaps even add a calendar widget that would allow visitors to automatically schedule a call or consultation. Perhaps visitors to your website may not be ready to fill out a contact form or subscribe to your blog quite yet, but they may want to follow you on social media. Make it easy for folks to find you online and provide these icons and links in your website’s header or footer. Some websites even have a widget that allows visitors to see what type of content you post before deciding to follow you. If you’d like to learn more about lead generation, check out Hubspot’s Beginner’s Guide to Generating Business Leads the Inbound Way.